Home >> Blog >> Can I Still Sell My Home with High Radon Levels? Can I sell my home with high radon? Preparing your home – one you lived in for years – so it’s presentable to strangers is frustrating. Come to find out, you have to pay for a slew of updates if you want your listing agent to consider putting it on the market. The outside of your house needs paint. A bathroom needs to be cleaned and remodeled, and your kitchen needs to be updated – with new countertops and appliances no less. By the time you’re done with all that, there’s no reason to leave! The whole house will be like new! To make matters worse, you just had your home tested and found out there are high radon levels inside. On top of these adjustments, it doesn’t make sense to pay even more for testing and mitigation. But how will you ever sell the home with those elevated levels? It’s not like you can hide that information from a potential buyer, right? During real estate transactions, radon testing can be a headache, especially if you discover high levels. It becomes an even bigger problem as more people learn of radon and its dangers. After all, radon is odorless, colorless, and tasteless. The fact it’s invisible to the naked eye and undetectable – without a proprietary test – means most people would overlook it. 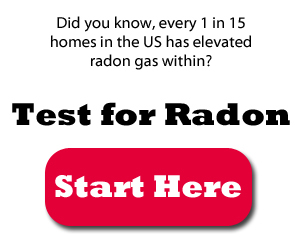 But as much of a hassle as it can be, testing for radon is important. Ensuring radon levels are acceptable – below 4.0 pCi/L – means you are securing the health of your family and anyone else that lives in your home. If you knew for sure your home was dangerous, would you pass it on to another family without saying anything? If your answer is no, then you should have your home tested, at the very least. Many people believe radon testing and mitigation are expensive, but they actually are not. To be honest, no one wants to pay money to remedy a problem in a house they will no longer live in, but it’s still necessary. You can test your home for $30 or less by picking up a radon testing kit at your local hardware store or online. If you find elevated levels, you can hire a radon professional to retest – likely for free as a consultation – before mitigation. Mitigation isn’t that expensive either. 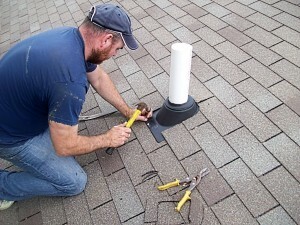 It can cost anywhere from $1,000 to $5,000 for the most expensive improvements. Services tend to be on the cheaper side of that spectrum. When you consider the costs of lung cancer – which radon can cause – those numbers seem even cheaper. 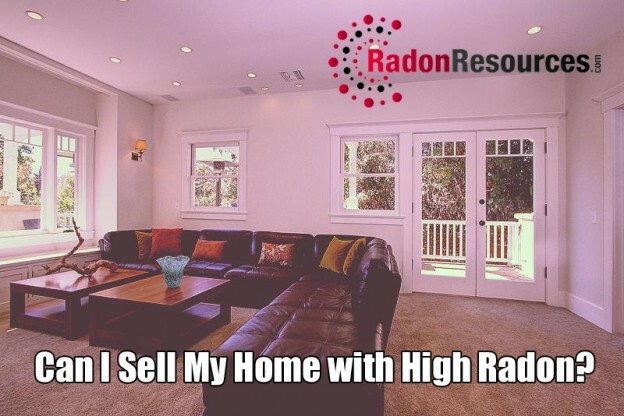 Can I Sell My Home with High Radon Levels or Not? There are no laws that prevent you from selling a home with elevated radon, so you can do it. But, in certain states there are laws that require sellers to provide a radon disclosure in real estate documents. In some, the disclosure must also include known testing results and maintenance data for a mitigation system. We won’t discuss the ethics of selling a home with high radon, that’s for you to decide. Just know, it is possible and there’s nothing legally stopping you. Do we recommend doing so? No. Can I Sell My Home with High Radon If the Issues are Resolved? Yes, and there’s nothing wrong with doing so provided you inform the buyer about the mitigation system in your home. It may not seem like it, but homes are more appealing when they have resolved issues – like high radon. It’s natural to worry a potential buyer will walk away because of a mitigation system in the home, but educated buyers know better. A mitigation system – when properly maintained – will keep the air quality in a home safe and clean from radon. So there is no immediate threat whatsoever. And it’s better if you have the testing results handy and take action before a potential buyer identifies a problem. If radon is discovered before a transaction is complete, it can put negotiations on hold for weeks, maybe even months. Plus, every day you are there is another you and your family are exposed to the deadly gas, unless you are not living in the house. During negotiations, the buyer can request the seller take care of any radon problems, including testing and mitigation. It would be more advantageous to have these things taken care of before you get to that point. There’s no telling how long the delay will be if you have to wait for test, then have a mitigation system installed. So, can I sell my home with high radon inside? The bottom line is yes, but you shouldn’t. Do with that information what you will. We recommend reading more about the dangers of radon gas.